This Denver backyard wedding came as a referral from my bride Cara Jo, whose Grant Humphrey’s Mansion wedding I photographed in September! Ashlee and Martin were planning a small and intimate wedding with just their immediate families (and two cute dogs) as their guests, at their own home in Denver. 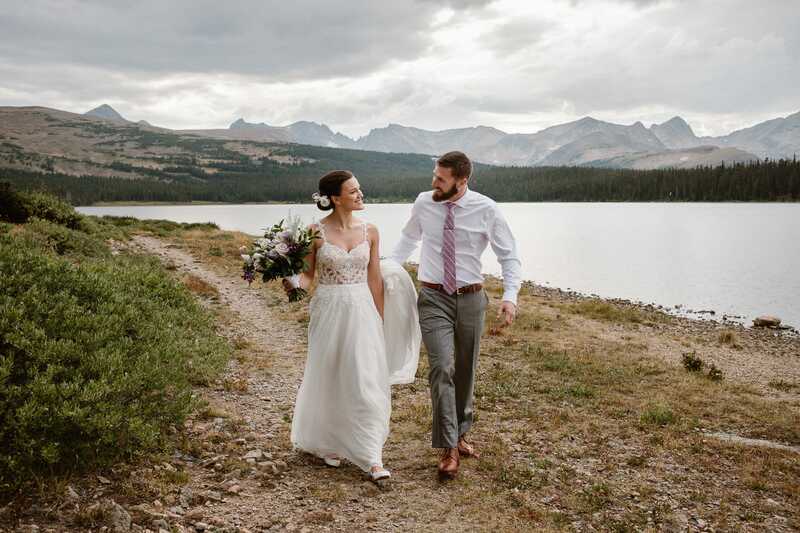 They had originally been talking about eloping on a beach somewhere, but decided to keep their families involved instead, and so they decided on keeping things simple and focus on enjoying the day together. I was a bit nervous on the morning of New Year’s Eve as I was getting ready to drive down to Denver, because it was snowing HEAVY. Traffic on 36 was going at a crawl, and the whole time I kept hoping they weren’t moving the ceremony inside. 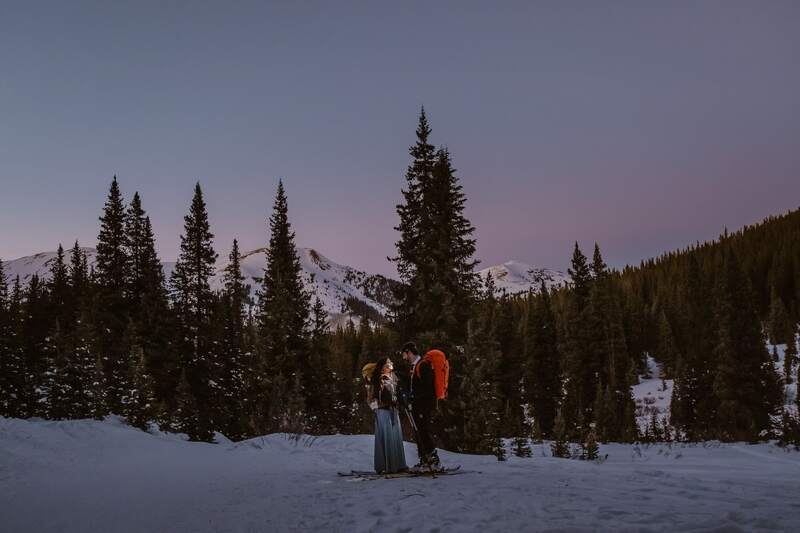 With having a Denver backyard wedding, you have to be prepared for any kind of weather. And snow is such a beautiful addition to the photos – and the feel of the day! Luckily everyone bundled up and gathered in the yard for the ceremony, and even put up with doing group photos in the heaviest snowfall I’ve ever photographed. One of my favorite things about photographing this Denver backyard wedding is how, when you strip away all the “extras” of a wedding day, what you’re left with are the relationships. Ashlee and Martin’s families gave heartfelt toasts and congratulations to the couple, and there were so many real candid moments for me to capture. And if you watch the slideshow at the start of this post, you’ll see everyone had some fun with props for a photobooth style mini shoot that had us all laughing! I’m so honored that Ashlee and Martin invited me into their family for the day to photograph their Denver backyard wedding. If you’re planning an intimate wedding of your own, I would love to chat with you about capturing your day. Get in touch and let’s make it happen! 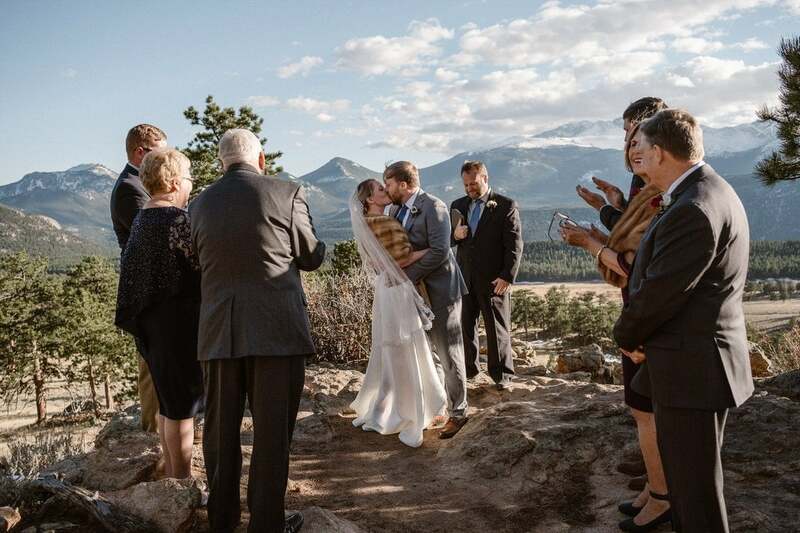 Shoutout to the vendors who helped make Ashlee and Martin’s Denver backyard wedding such a beautiful day!